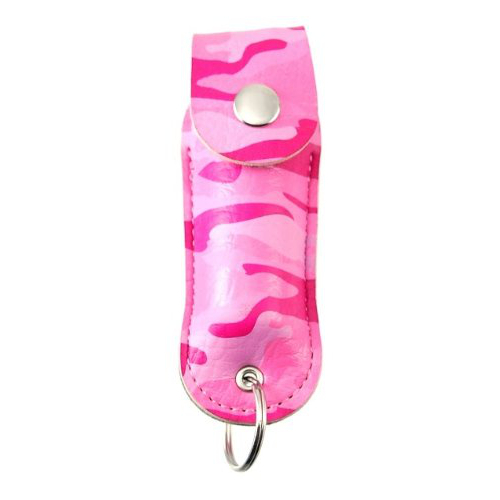 1/2 oz Container of 17% Worlds Hottest Streetwise Pepper Spray in a Pink Camo Case with Key Ring. Light enough to Carry on your Home and Car Key Ring, good place to keep it. Remember keep it away from children. If you need, and use it, try to remembet to yell "Pepper Spray", while your spraying, and then run. Don&apos;t try to see if it worked, or what it did. RUN seek safety, and immediately call your local law enforcemnt not only for yourself, but to help protect others.